Dream. Dress. Play. 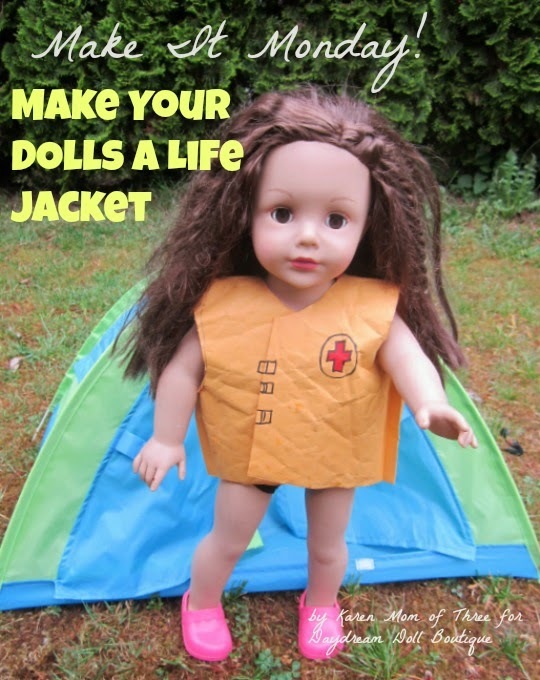 : Make It Monday A Dolly Life Jacket! Make It Monday A Dolly Life Jacket! 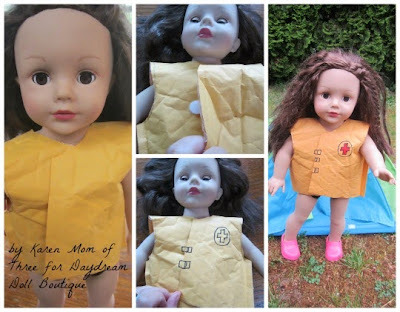 Karen here with a fun Make It Monday Craft, A Life Jacket you can make for your dolls. Step 1- Gather all your supplies and lay your envelope flat. Place your doll on top of the envelope with her neck at the sealed end. Trace her body on the envelope, under her arms and mark where her neck is. Draw a straight line down the center of the envelope at the next line as shown in the photo above. Step 2- Move your doll and connect the lines you have made so that they resemble a vest. Carefully cut the arms out from the bottom to the top, then cut out the neck. I traced my doll so that the vest will be waist length. Cut straight across the evenlope to create the length of the life jacket. Step 3- Use your scissors and cut up that center line, be sure to only cut one layer. Your vest is now ready to try on your doll. 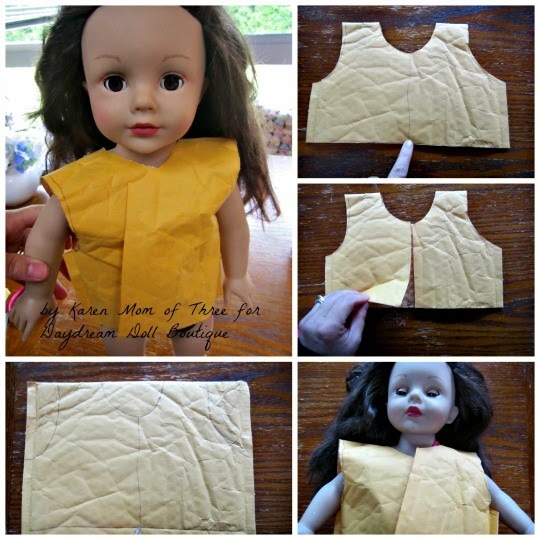 Step 4- Place the vest on your doll and use your eyes to see where you would like to attach the velcro dot. Remove the backing and place on sticky side down and then place the other dot on top and press the top of the vest into place. Step 5- Use your marker to draw on buckles and a badge. Now your Dolly Life Vest Is Ready to play with! ***Please note to do not ever really put your doll in the water unless her body is full plastic. It can wreck your doll. This is a pretend life vest and will not save your doll from the water.